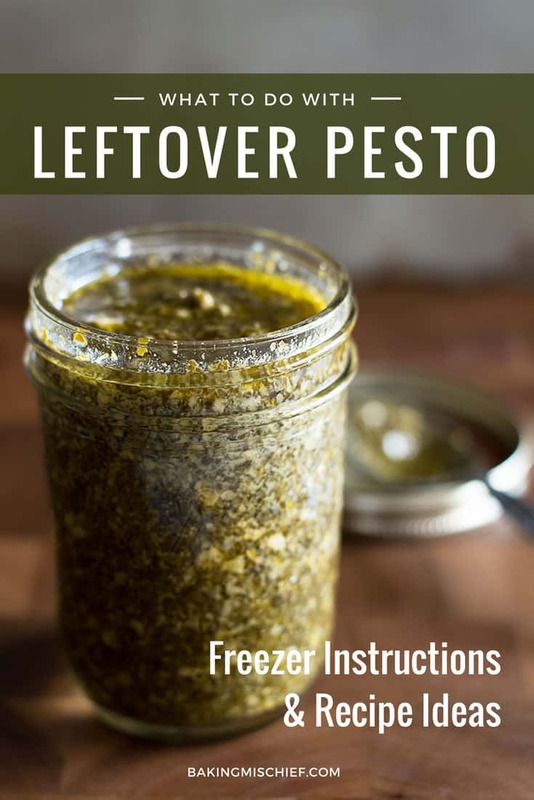 What to do with leftover pesto, including instructions on how to freeze pesto and leftover pesto recipe ideas. When it comes to leftover pesto, you have two options: make something else with it or freeze it–Did you know you could freeze pesto? You can, and it’s the best. 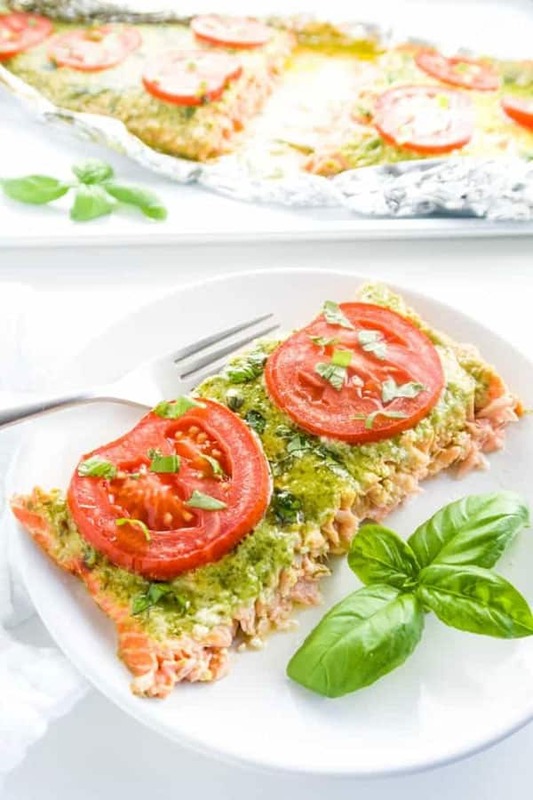 I don’t like to eat back to back pesto dishes, so I almost always end up freezing my pesto (or cooking with frozen pesto) and it works so well. I feel good about not wasting food, and it’s nice knowing I always have pesto on hand. For larger amounts, simply spoon pesto into a freezer bag, freeze flat, mark the amount and date on the bag. If you’re like me and tend to use smaller amounts of pesto, freeze it in tablespoon-size portions in an ice cube tray. Just line your tray with plastic wrap for easy removal and clean up, and freeze cubes of pesto. Store them in a freezer bag. If you don’t have an ice cube tray, a mini muffin or even regular-size muffin tin works great. How long does frozen pesto last? Frozen pesto is best if used within 3 months of being frozen. 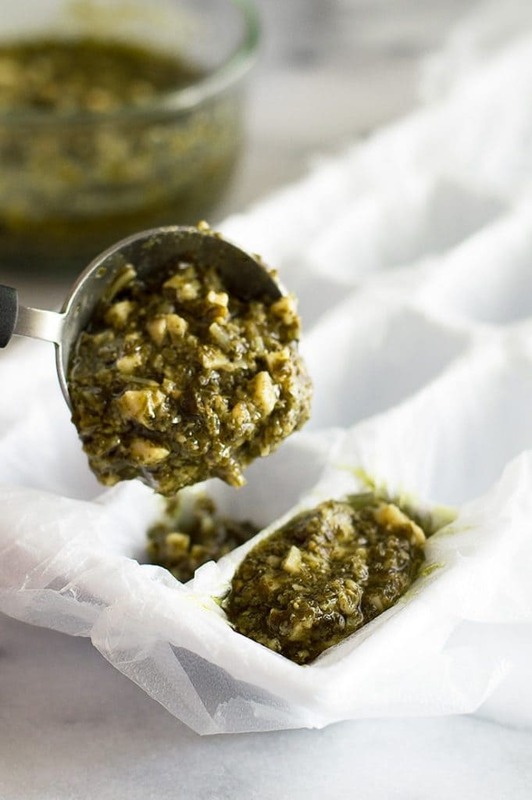 How to defrost frozen pesto. If you plan ahead and pop your pesto over to the fridge, it will defrost in 12 to 24 hours, depending on how it’s frozen. But pesto will defrost pretty quickly on the counter, especially if frozen flat in plastic bags. If you are putting it into a sauce, you don’t even need to defrost it. Frozen cubes can be dropped right into sauce. Just make sure everything stays on the heat long enough to get hot. 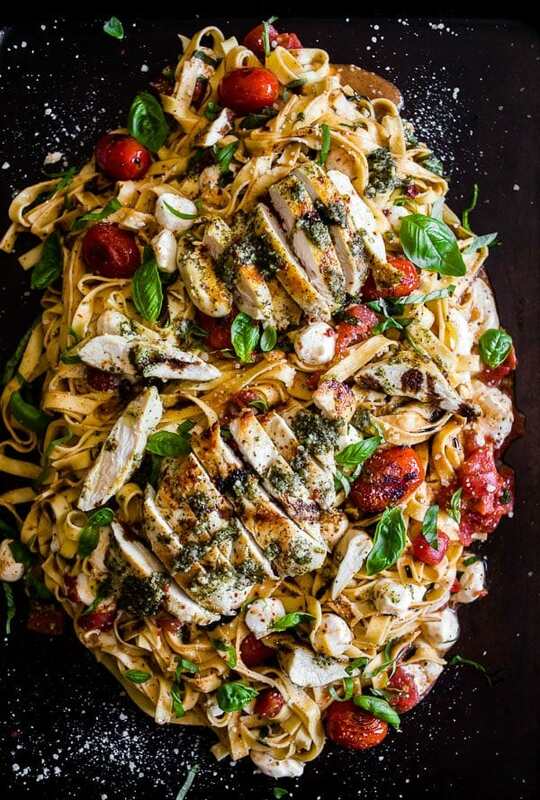 Have you made any of these pesto recipes before? 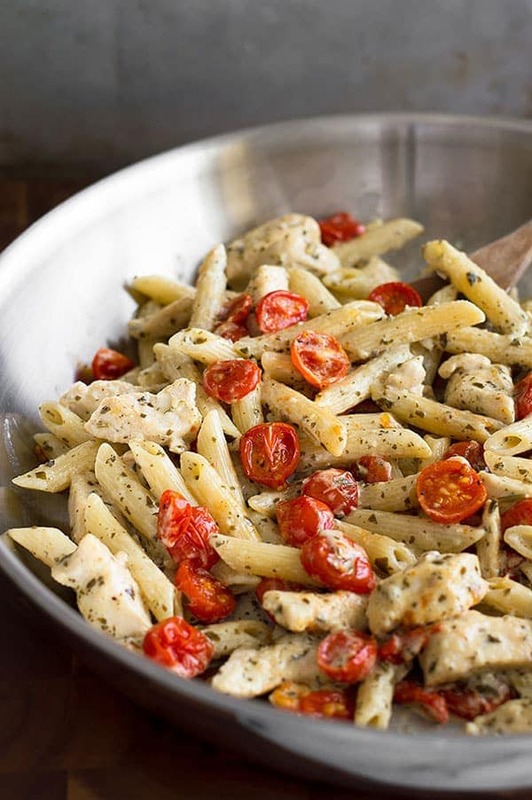 What’s your favorite way to use up leftover pesto? Let me know in the comments!